Prioritising the Three Rs above all else at school is now officially defunct. The world’s seen astounding changes this last decade, and continues to change at a rate that often seems bewildering. Children must acquire skills that not only equip them to flourish in the face of change, but that also give them what they need to be change masters… building the future they deserve for themselves and the world they live in. A recent World Economic Forum report honed in of the skills children are learning at school. “The gap between the skills people learn, and the skills people need is becoming more obvious, as traditional learning falls short of equipping students with the knowledge they need to thrive,” says the report*. Prioritising the three Rs above all else in education is officially and formally defunct. For while reading, writing and numeracy skills remain critical classroom lessons, as important are the life skills that allow youngsters to engage, to seek knowledge, to learn, to be creatively intelligent and to lead from the front to be successful adults, both personally and professionally. These skills have acquired a label: 21st Century Skills. Commerce, industry and tertiary institutions the world over seek out youngsters who have them. The skills are regarded as touchstones of excellence, being a reliable indicator of people who are intuitively intelligent, who integrate seamlessly into teams and whose leadership qualities rise in a macro workplace environment that is idea-driven more than process-driven. Schools the world over – including here in South Africa – must teach these skills. They must be part of the wider 12-year school syllabus. If they’re not, children are done a disservice that handicaps them and literally puts their success at peril. This much is a certainty. For there is now an expectation for people to have a strong combination of thinking, research, communication, social and self-management skills when they leave school. These are dynamic and evolving skills that are easily included in the broader subject syllabus. What’s critical is that schools recognise their importance, and include them as part of the philosophy and practice of learning. Schools need to constantly create opportunities for critical thinking, problem solving and creative thought. Children need to learn the importance of learning from their mistakes so that errors and mishaps become valuable learning opportunities, rather than failures to be ashamed of. Schools need to give children ample opportunity to work with others, explore with others and learn with others. Group diversity is critical so that children also acquire cultural and gender sensitivity and tolerance during the important formative years. This teaches youngsters the vital participation skills that they will need as adults, no matter which career path they choose and where on earth they choose to work. Requires that schools set children free to seek answers and generate knowledge themselves. Teaching should have an inquiry-driven focus, where youngsters are encourage to ask the right questions, not only give the right answers. This teaches them to call on all they know, from across the various classroom disciplines, to come up with solutions to problems and questions that are not only right, but that also make sense to them. It builds confidence and teaches children the value of constructing knowledge, finding patterns and making sense of the world they are learning about, and that they live in . 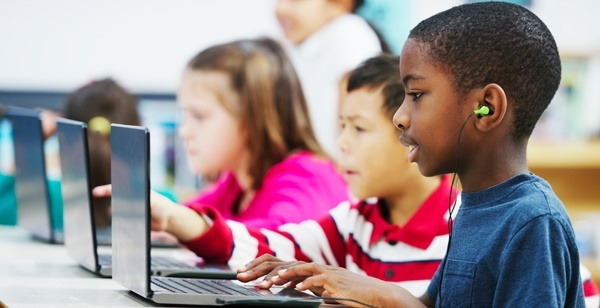 Schools need to develop, extend and apply effective oral, written, visual and digital communication strategies, tools, techniques and approaches. This applies not only to sourcing information, but to sharing information, too. Children must be encouraged not only to write their answers. They must be encouraged to talk, draw, web-surf, explain, gesticulate and listen. The wider the variety of communication skills they learn, the better. Schools need to give children access to as wide a variety of learning and research materials as possible. This includes digital and multi-media tools. It also includes books, the natural world, communities, people, laboratory-type facilities, libraries and so on. Children need to learn how to interact confidently with all these resources so that they build a skills set that teaches them that the world is full of places and things they can learn from, and make a contribution to. Schools and teachers must be clear when setting learning goals. This makes assessment of student progress easy and accessible to both the child and the teacher. Ongoing and timely feedback are absolutely critical, so that students become more self-directed, reflective and insightful about their personal capabilities. It helps them learn how they learn best. Schools must prioritise the development of the individual child, celebrating all that makes him or her unique and encouraging students to make the most of their own strengths. Children need to become intimate with their own levels of perseverance, resilience, flexibility, initiative, optimism, responsibility and so on. Such self-knowledge children forge their own way in the world, seeking work and relationships that fulfil them, make them happy and bring them success. Do you think these skills are more important than reading, writing and arithmetic? Send us your thoughts to chatback@parent24.com.